We kicked off our annual 100 Acts of Kindness challenge three weeks ago and have been having so much fun! As part of our challenge, each week we are issuing a kindness challenge! So far we've been challenged to surprise a stranger with an act of kindness, mail a kindness postcard to a friend, and donate food to those in need. 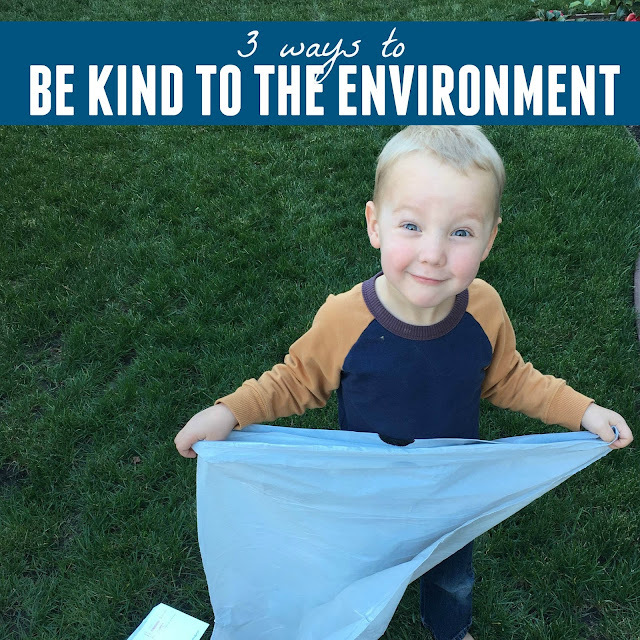 This week we are challenging everyone to show kindness to the environment. 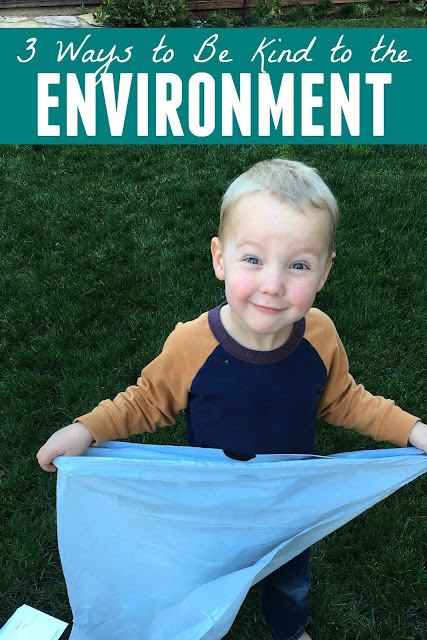 Our Week #4 Kindness Challenge is to go to the park (or a nearby open space) and pick up trash! This will help the world look nicer AND it will keep animals safe. We love to roam our neighborhood and pick up trash too. If your weather is bad, find an indoor place where you can pick up trash... or bundle up and find a outdoor parking lot nearby. I guarantee you'll find some trash to pick up! The main items you'll need in order to accomplish this task are GLOVES and trash bags! We forgot to bring gloves last year (but had plenty of hand sanitizer) and we avoided anything super gross... but gloves are the best thing to use with kids so that they don't get any icky germs from trash/papers flying around. 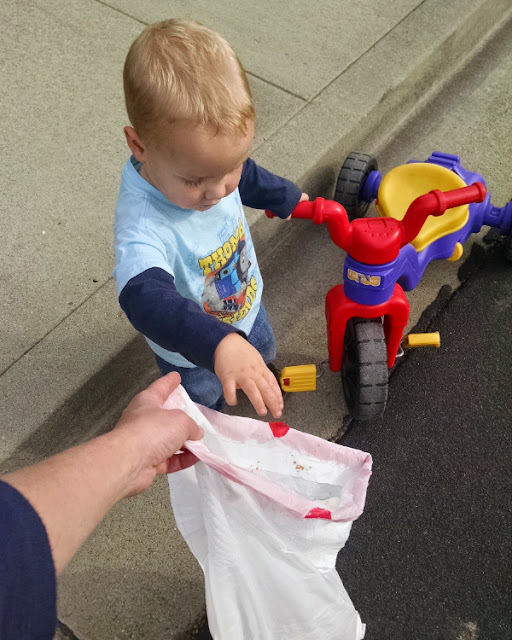 We love to play counting games while we pick up trash and see who can collect the most items. Sometimes it is fun to get into teams and compete to see which teams can do the most. Last year we invited our neighbors to join us!! - Saying goodbye to plastic water bottles and plastic bags and converting to reusable bottles and reusable bags. Try this for a week if you haven't yet! - Driving less! Walk, ride your bike, take the bus/train, or carpool to where you need to go! This is such a simple way to be kind to the environment. What are some other ways you can think of to be kind to the environment? Have you done any acts of kindness recently? This month between January 18th and February 14th we have taken a challenge to accomplish 100 acts of kindness! If you'd like to join in just come and join our 100 Acts of Kindness Facebook group and we can all work together! I think one way we can be kind towards the environment is by turning off lights and water whenever we don't need them.